Moto at the IFA 2017 has introduced Moto X4 smartphone with Dual Rear Camera and Snapdragon 630 processor. Moto X4 features a 5.2-inch 1080p Display powered by an Octa-Core Snapdragon 630 Mobile Platform with 3GB RAM with 32GB storage / 4GB RAM with 64GB storage which is further expandable to 2 TB with microSD. 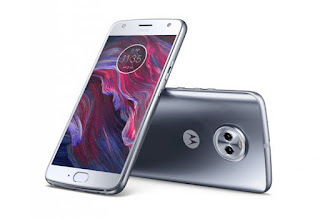 Moto X4 runs on Android 7.1 Nougat with support for Google Assistant and also has support for Amazon Alexa.On Camera, It has dual 12MP and 8MP rear cameras to take images with blurred background, portraits, selective black and white and option to change the background. It has Dual Autofocus Pixel technology for faster focus in low light. It has a 16MP front camera with a 4MP new adaptive low light mode. Connectivity options include 4G VoLTE, WiFi 802.11 ac (2.4 GHz and 5 GHz), Bluetooth 5.0 LE, GPS, GLONASS, NFC, USB Type-C.It has IP68 certification for water resistance and has a 3D rear contoured design, an anodized aluminum frame and Corning Gorilla Glass protection on the front and back. It has a fingerprint sensor built into the home button that also offers one-button navigation. It has a 3,000 mAh battery with support for Turbo Charging that promises six hours of power in just 15 minutes of charge. Moto X4 comes in Super Black and Sterling Blue colors Price starts at 399 Euros and will roll out in Europe starting in September followed by global markets, including the U.S., later this fall.